Under the GEF GOLD programme, UNDP and the Government of Peru will promote the adoption of sustainable production technologies and the development of sustainable supply chains in ASGM in the Regions of Puno, Arequipa and Piura. The project will also enhance the protection of human health and the environment from mercury emissions and promote better livelihoods for both women and men involved in the ASGM sector and will especially examine the important role that women play in this sector. In 2016, the Global Environment Facility (GEF) approved the Global Opportunities for Long-term Development of the Artisanal and Small-Scale Gold Mining Sector (GOLD) programme to help artisanal gold miners eliminate the use of mercury in gold mining, reduce harmful risks to their health and the environment and create sustainable livelihood opportunities. The GEF GOLD programme intends to introduce and promote best practices and techniques for gold extraction in collaboration with the governments of eight countries (Burkina Faso, Colombia, Guyana, Indonesia, Kenya, Mongolia, Peru, and the Philippines), three United Nations (UN) agencies (the United Nations Development Programme, UN Environment, and the United Nations Industrial Development Organization) and one Non-Governmental Organization (Conservation International). As part of the GOLD programme, UNDP will be supporting the Governments of Colombia, Indonesia, Kenya and Peru. Projects are expected to start in early 2018. Peru is the largest producer of gold in Latin America and the sixth largest in the world. Total mercury releases to the environment from Artisanal Small Scale Gold Mining (ASGM) in Peru were estimated to be 70 tonnes in 2010, and this has likely risen with increasing gold production and miner population. According to the Ministry of Energy and Mines of Peru, as many as 200,000 Artisanal and Small-scale Gold miners produced 38.7 tonnes of gold, or roughly one quarter of Peru’s total gold exports in 2016. This gold creates economic opportunities in rural areas by providing livelihoods for the poorest and most disenfranchised people, in areas such as the Andean Regions, where in 2016, approximately 14.9% of the population lived in extreme poverty, and the Amazon, where approximately 41% of the indigenous population lives in extreme poverty. 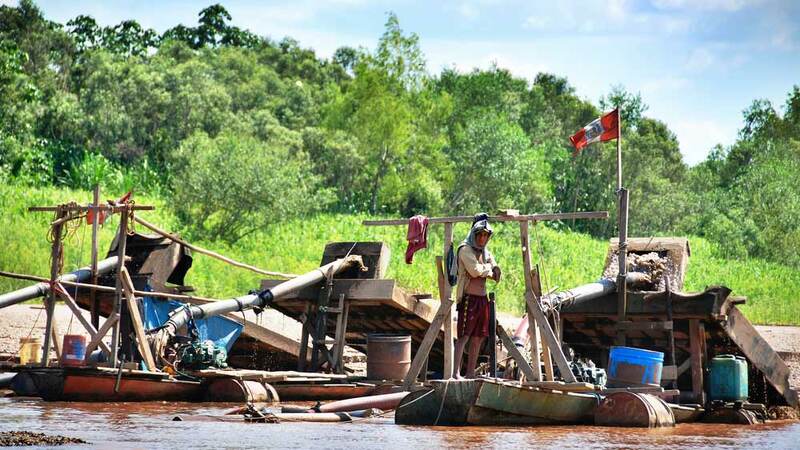 In addition, depending on the price of gold and other factors, potentially more ASGM miners may migrate to the area in search of economic opportunities, and actions should be taken to protect the rights and lives of these migrants. For example, in the Amazon region of Madre de Dios, 50% of the population is associated with this mining sector, leaving large areas with degraded landscapes. Under the GEF GOLD programme, UNDP and the Government of Peru will promote the adoption of sustainable production technologies and the development of sustainable supply chains in ASGM in the Regions of Puno, Arequipa and Piura. The project will also enhance the protection of human health and the environment from mercury emissions and promote better livelihoods for both women and men involved in the ASGM sector and will especially examine the important role that women play in this sector. Finally, the Project supports the objectives of the Minamata Convention on Mercury, which was ratified by Peru in 2015 and requires its Parties to adopt measures to reduce and, where feasible, eliminate the use of mercury, as well as emissions and releases of mercury into the environment. During the Project’s preparation phase, Inception and Validation workshops were held throughout 2017. More than 60 representatives from the Ministries of Environment, Energy and Mines, Health, Labour and Production, as well as academic and research entities linked to the mining sector participated in these meetings. Máximo Gallo, Director General of Mining Formalization of the Ministry of Energy and Mines stated that ‘The challenge is to get small miners to start working in a more responsible way. By simply saying that they want to be formalized, they are already displaying a desire for change. With this Project, we can take advantage of this and the various synergies to support them’.